**** Note, this shop has closed. 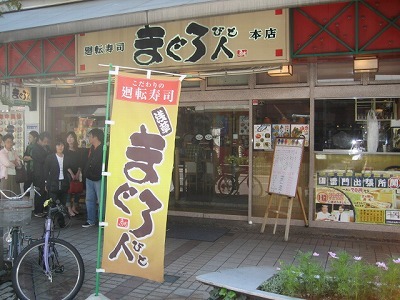 Magurobito is kaitenzushi (revolving sushi) with a good value and a selection of seasonal fresh fish. It is very popular so there is often a line, but it tends to move quickly. This is a chain so you may see shops around the city. Of the many kaitenzushi, this chain is one of the better ones. It is also very popular for its bang for buck. 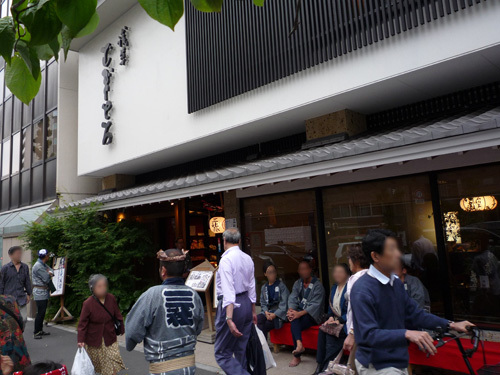 There is a second shop in the area but it is tachigui (stand and eat) and only accommodates a handful of customers. Mugitoro is next to the Komagatado temple. The entrance to the 6-story modern building has red paper umbrellas and benches. As there is usually a line to get in, this is a welcome site. 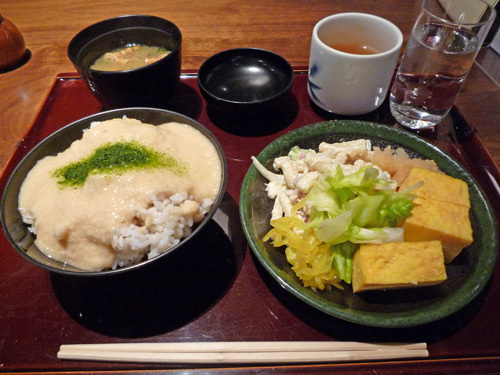 Mugitoro’s signature dish is rice cooked with barley (mugi) and topped with grated yamaimo potato. When the potato is grated it creates a thick, creamy, slippery slurry, in Japanese called tororo. Hence, the name of the restaurant is Mugitoro. The meals here are based around this dish, served with a variety of small plates. 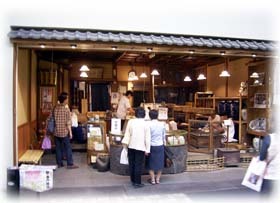 In front of the shop is a menu board with photos of popular dishes. There is a small gift shop in the front of the shop. 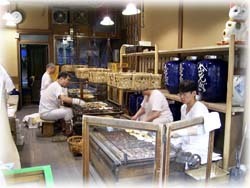 Mugitoro has created a line of rice crackers based on sticky rice, but combined with the tororo. 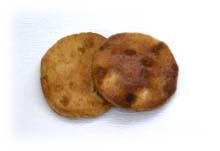 The sandaime cracker, also called nuremochi, is a rice cracker soaked in soy sauce, not crispy like most, but chewy and moist. The signature cracker, Satochan, is a crispy cracker topped with black sesame seeds. If you like sweets, the tororinto, is surrounded with artisanal brown sugar from Amami Oshima in Okinawa.